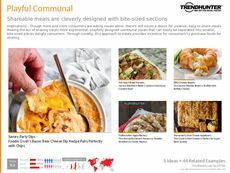 Find Better Ideas, Faster ® with a custom community dining trend report, our PRO Dashboard and 80+ categories of premium trend reports. 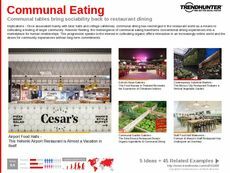 The Community Dining Trend Report skillfully uncovers the dining habits of a new generation seeking a more communal experience when dining both out and at home. 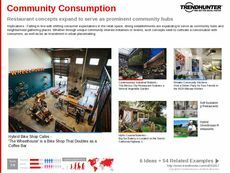 We sift through countless trends to bring readers a comprehensive list of popular dining options including community dining app organizers, new restaurant designs and creative shareable meals. 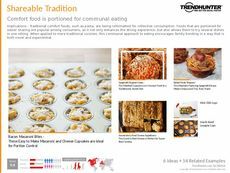 Our findings are based upon our extensive collection of crowdsourced research and will provide our clients with the most up to date and relevant data on community dining market trends. 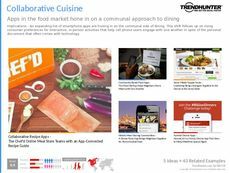 Event organizers, restaurant owners, professional chefs and food industry experts will be equipped with the tools they need to start capitalizing on surging consumer trends. 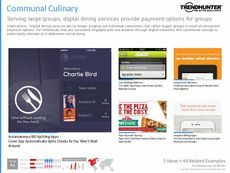 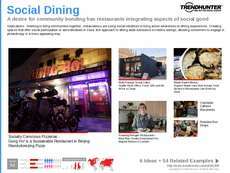 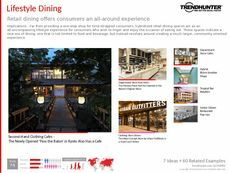 With the help of Trend Hunter's highly detailed Community Dining Trend Report, readers will be treated to an eye-opening look at the modern dining experience.